From New York to London, Paris, and Milan the Couture and Ready-to-Wear fashion shows have been a sea of sequins, laces, embellishments and beautiful gowns that can easily be the next big trends in the bridal world. Here are some of our favorites from the latest shows. Armani Privé Couture Spring'18: Metallics will be one of the top trends in the coming collections in bridal. What girl doesn't like a shiny and bright dress? 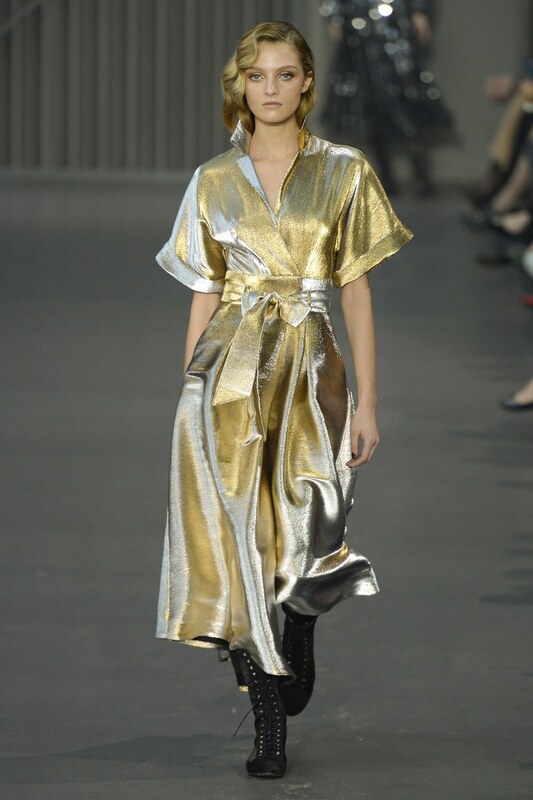 Temperley London Ready-to-Wear Fall'18: We love this lamé golden wrap dress with dolman dropped sleeves. Can you picture this silhouette in a soft vintage lace showing a mini dress underneath? 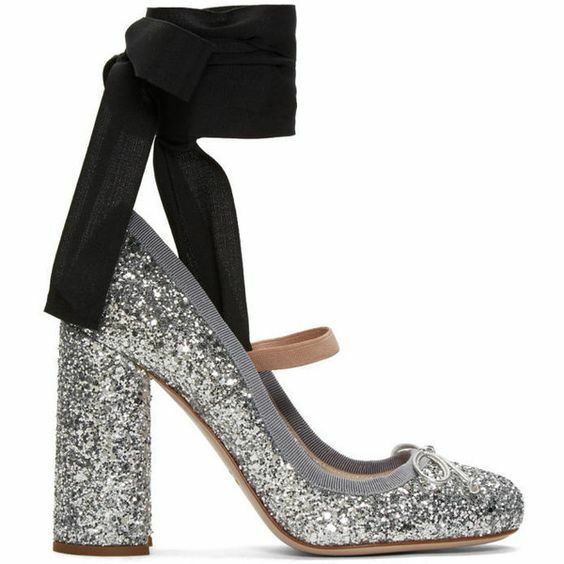 How about a metallic coated lace? Yes! Chanel Couture Spring'18: Nothing says disco party more than this sequin jumpsuit in silver. Jumpsuits are the trend for modern brides now, and we can't think of a better way to wear this look than this jazzed-up onesie. Armani Privé Couture Spring'18: Oversized monochromatic floral print satin on a bright pastel background. This gown is so modern, romantic and playful at the same time. Can you picture wearing this number at your spring wedding reception after the first dance? 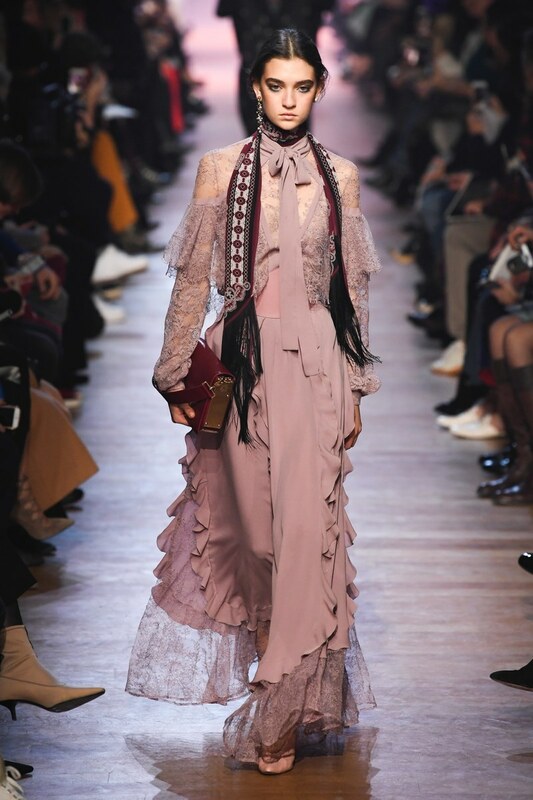 Valentino Ready-to-Wear Fall'18: Pierpaolo Piccioli has done it again. Modern romanticism at it's best on the runways this season. 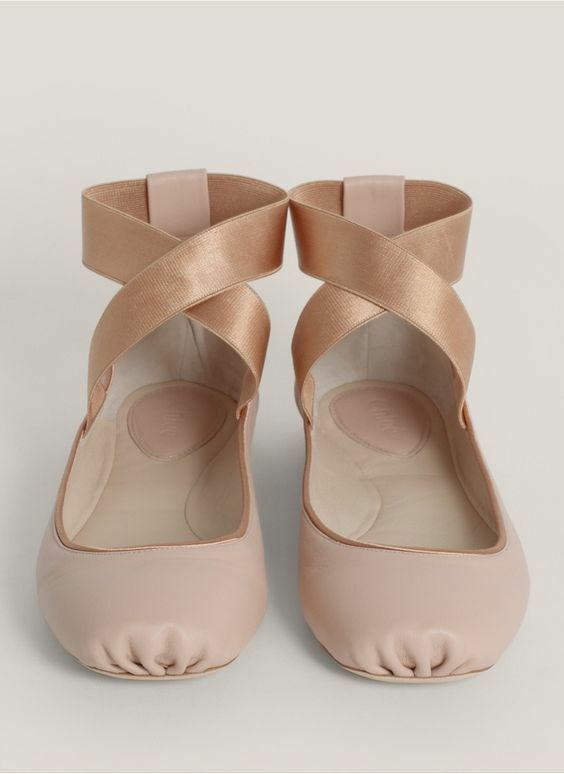 The modern bride that loves the quirkiness and feminine can pair this gown with these Chloe or Miu Miu ballerina flats and heels. 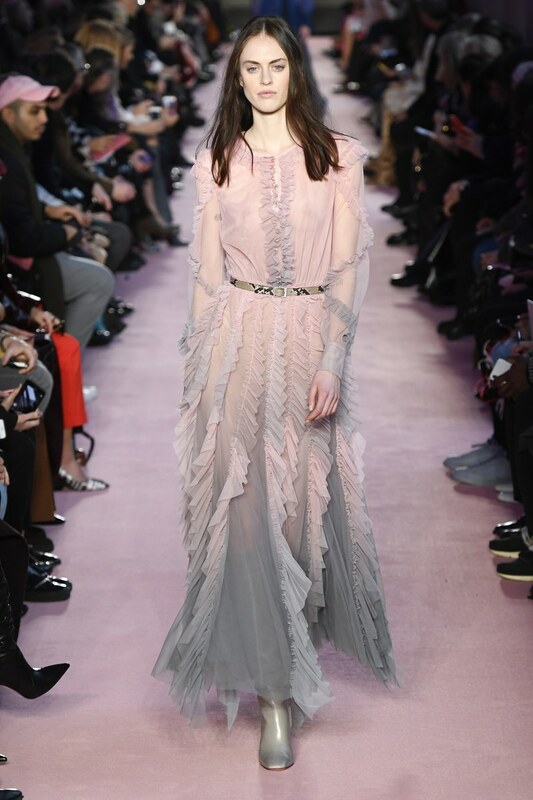 Blumarine Ready-to-Wear Fall'18: There's nothing more romantic than a silk chiffon and tulle ombre ruffled dress. Elie Saab Ready-to-Wear Fall'18: He does it again; so right and so beautiful each and every time. Mixing lace and silk charmeuse with the perfect cascade of soft ruffles. This dress should be worn by bohemian brides everywhere. Giambattista Valli Couture Spring'18: He makes 3D flowers look real, freshly picked from the fields of Tuscany. Chanel Couture Spring'18: Sparkle, peek-a-boo dressing is so fun and very trendy right now. It's flirty, feminine, and brings some newness into formal wear. What's not to love? 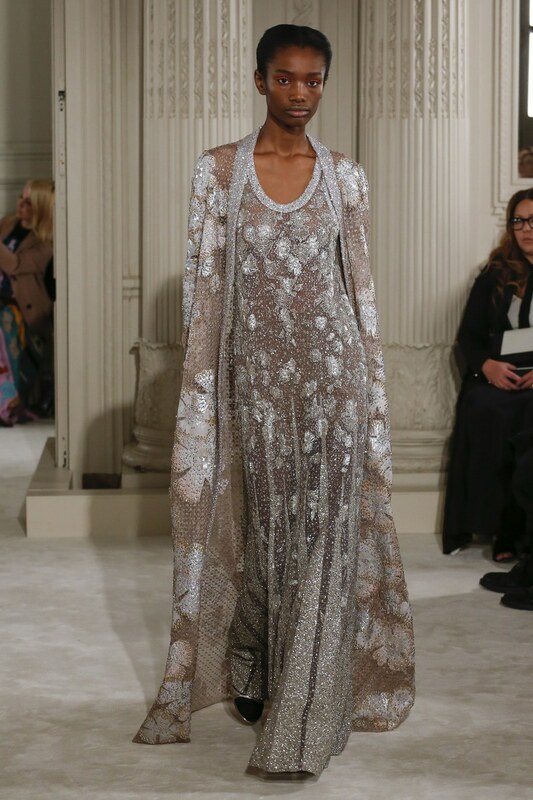 Azzaro Couture Spring'18: Maxime Simoëns is so on track with his delivery on what the new Couture dressing can look like. What do you get when you translate Van Gosh's Starry Night from oil on canvas to yards of soft, silk chiffon? Flowly and ethereal, as you walk down the aisle, sprinkles of glitter and stardust will illuminate your strut. Elie Saab Couture Spring'18: Mixing feathers with sparkly tulle and silks are his strengths. He makes these elements match together so effortlessly. This is perfect for the fashion-forward bride. This is our part I of our runway trend report for brides-to-be. Let us know which ones are your favorites!